Todd Bowman Ash in his studio in Nauset Heights. While at Yale University School of Design, Todd was inspired by the world-renowned colorist, Joseph Albers who established the school's color theory program. 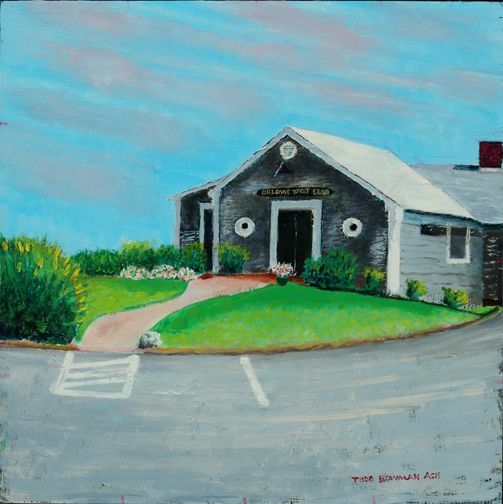 Todd’s genre paintings of Orleans including Nauset Heights, Nauset Beach, Skaket Beach and Rock Harbor are painted on 12”x 12” masonite board. Fashioned after Albers' “Homage to the Square” series, his palette is anchored in bold colors, applied directly from the oil paint tube. He modifies and manipulates the composition to fit the square format. Todd refers to his painting style as “flow-ism." He also draws fine-line pen and inks, rendering often unseen vistas of nature in Orleans. Todd received a BA degree from St. Lawrence University, a BFA and MFA from Yale University School of Design, and studied at the Art Students League in NYC. He is the retired President of the Ash Group of New York City, Ltd.
Todd is an active member of the Orleans Community Partnership and goes beyond the call of duty for Gallery 31, bringing our mascot Pierre in the 4th of July Parade, for example, as a float for the gallery. Todd has been a member of the gallery for nearly a decade. 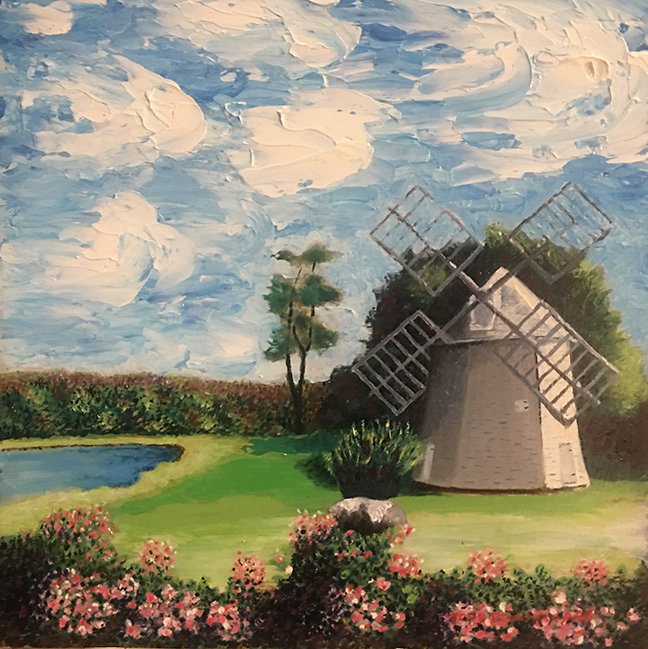 "I enjoy capturing local places in paint, from the Land Ho! to Orleans Yacht Club. I work with spontaneity and enjoy the process in my studio near Nauset Beach in the Heights. Painting keeps me young!"